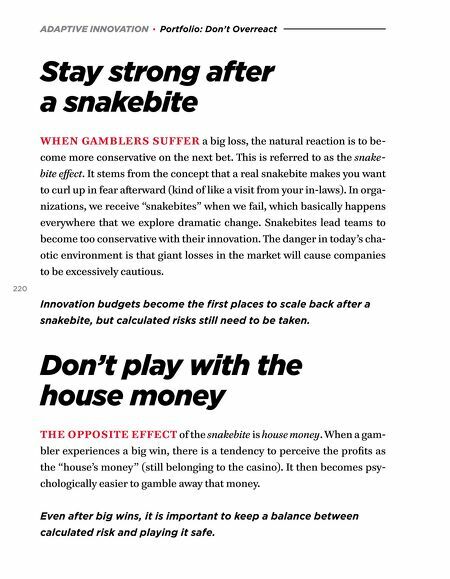 ADAPTIVE INNOVATION · Portfolio: Don't Overreact Stay strong after a snakebite WHEN GAMBLERS SUFFER a big loss, the natural reaction is to be- come more conservative on the next bet. This is referred to as the snake- bite effect. It stems from the concept that a real snakebite makes you want to curl up in fear aſterward (kind of like a visit from your in-laws). In orga- nizations, we receive "snakebites" when we fail, which basically happens everywhere that we explore dramatic change. Snakebites lead teams to become too conservative with their innovation. The danger in today's cha- otic environment is that giant losses in the market will cause companies to be excessively cautious. 220 Innovation budgets become the first places to scale back after a snakebite, but calculated risks still need to be taken. Don't play with the house money THE OPPOSITE EFFECT of the snakebite is house money. 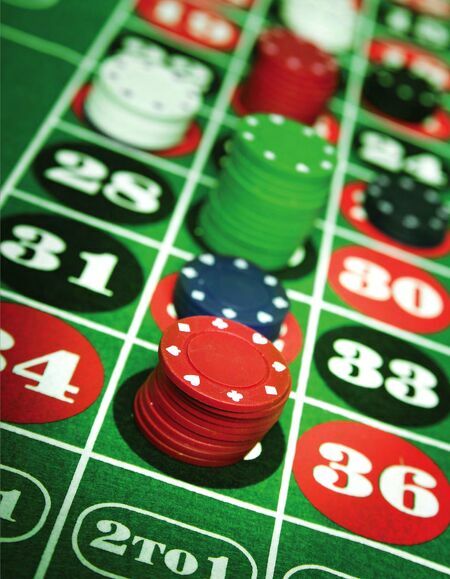 When a gam- bler experiences a big win, there is a tendency to perceive the profits as the "house's money" (still belonging to the casino). It then becomes psy- chologically easier to gamble away that money. Even after big wins, it is important to keep a balance between calculated risk and playing it safe.